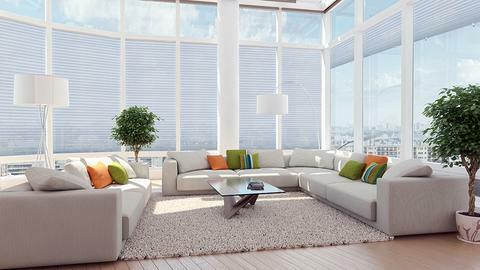 Having a window shade of any kind is the first step to creating more energy efficiency in a room. By covering your window you are controlling your energy costs. The material used in Redi Shade cellular shades helps keep your room warmer in the winter, and cooler in the summer, conserving energy. Select the shade type below to learn about energy efficiency options for specific shades. 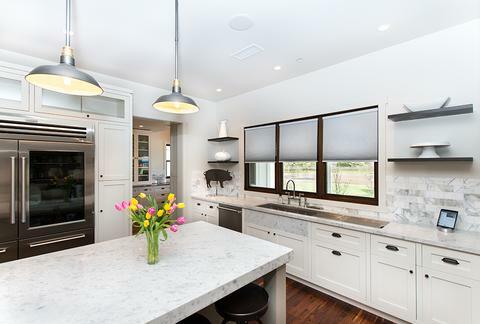 When fully closed, the honeycomb cellular construction of Artisan Custom cellular shades helps to control the temperature of a room by either keeping warm or cool air out, or locking warm or cool air in. They also keep a room cooler by blocking harsh sunlight during summer months. Artisan Custom shades trap harmful UV rays, keeping them out of your room and protecting the interior of your home from sun fading. 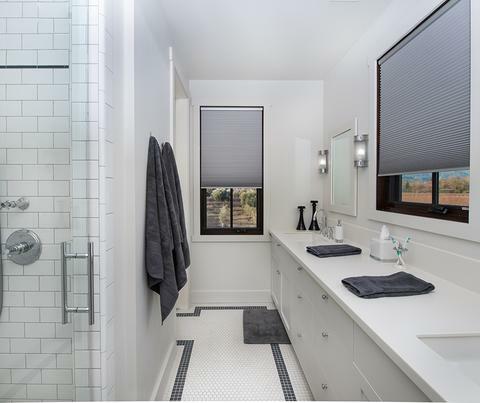 When fully closed, the honeycomb cellular construction of Artisan Select cellular shades helps to control the temperature of a room by either keeping warm or cool air out, or locking warm or cool air in. They also keep a room cooler by blocking harsh sunlight during summer months. Artisan Select shades trap harmful UV rays, keeping them out of your room and protecting the interior of your home from sun fading. 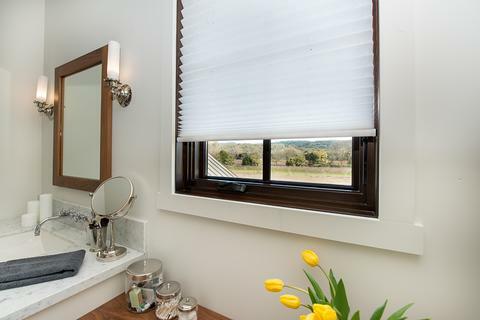 Easy Lift cellular blackout shades feature energy efficient 9/16-inch blackout honeycomb fabric that blocks harsh sunlight and UV to help keep rooms cooler in summer months and extreme temperatures. These shades block 99% of sunlight, reducing heat gain and providing maximum UV protection. 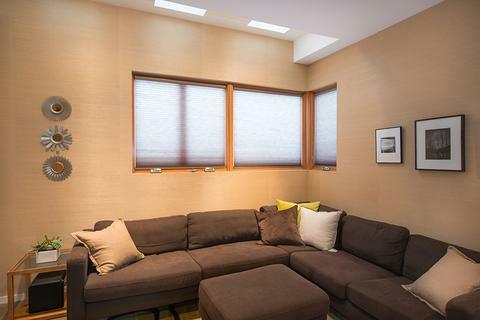 Easy Lift cellular light filtering shades are created with 9/16-inch honeycomb fabric cells to trap air and help keep rooms warmer in cooler climates and winter months and provide UV protection. 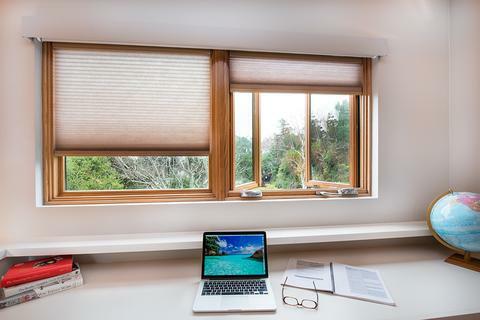 Easy Lift pleated light blocking shades feature an exclusive composite fabric with heat reflective layer for light blocking, heat reduction and UV protection. 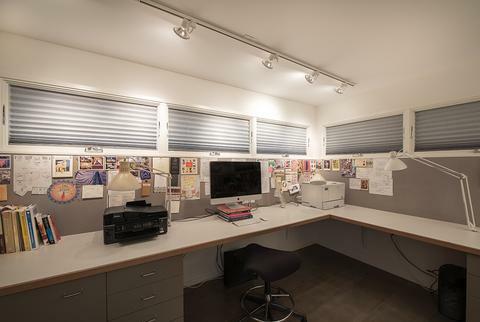 Original light blocking fabric shades are made of non-woven polyester with a heat reflective layer that helps block heat entering through windows.